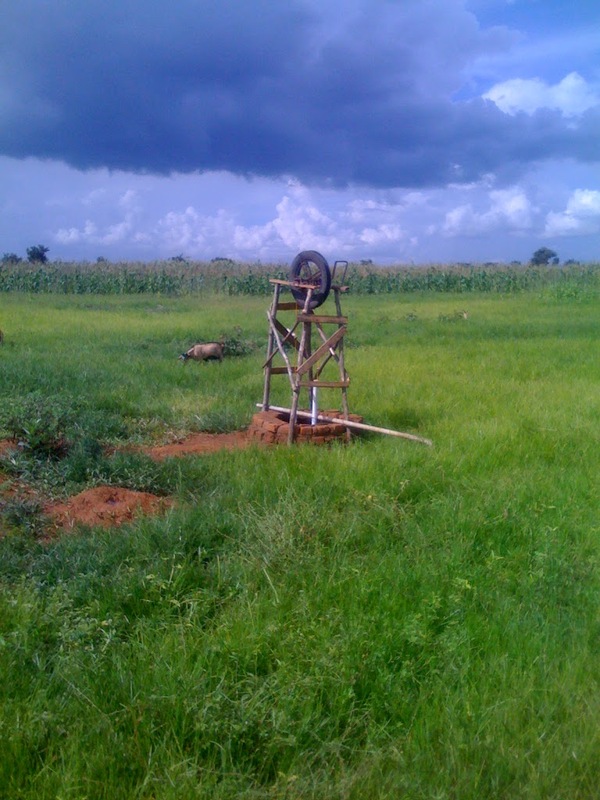 When Africa Windmill Project set out to make water pumps, we took the treadle pump as our competition. We wanted to make a pump that worked better in every application suitable for a treadle pump. We have done that with our rope and washer pumps; our pumps are cheaper, easier to maintain, and pump as much or more water. What we had not tried, until now, is to make a pump that will irrigate dryland, i.e. land that is typically only irrigated by rain. We have now built a pump that pulls water from seven meters below ground. I admit it is not as easy to use as the wetland pumps, but it does the job. We have proved the potential; now we have only to realize it. This pump will allow the farmer to grow vegetables year-round right in front of his home. He can use the water for livestock or washing clothes. The garden space is approximately 800 sq. meters or a fifth acre.